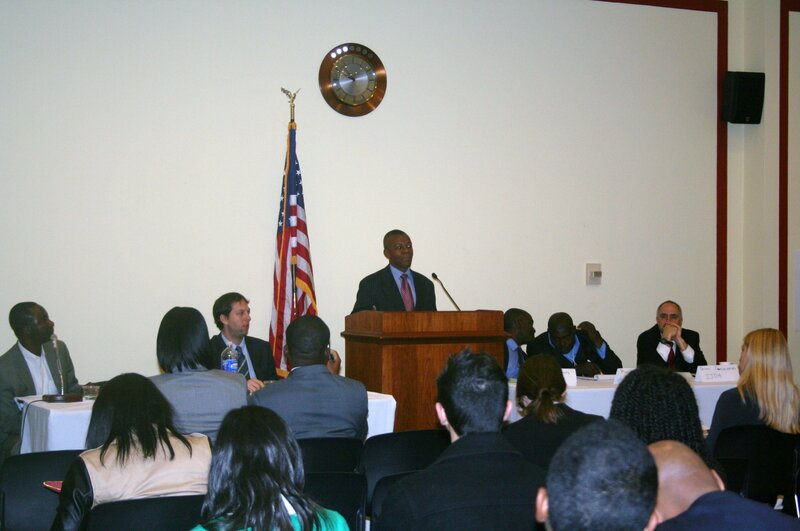 On the Third Commemoration of the 2010 Haiti Earthquake, the Haiti Advocacy Working Group (HAWG) organized a series of congressional briefings and meetings with decision-makers in Washington DC around the theme of “Accountability for Haiti.” Three years since Haiti experienced the most devastating natural disaster in its history, public concerns remain about relief and reconstruction policies and programs that have ignored the voices of Haitian civil society, especially the farming communities and poor urban dwellers who are now facing a looming food crisis, the hundreds of thousands living in camp cities or other precarious housing conditions, and the families of the thousands dead and hundreds of thousands sickened from a rising cholera outbreak. Representatives of partner grassroots organizations from Haiti came to Washington DC. to meet with decision-makers and stakeholders, to share their assessment of the reconstruction process to date, as well as their input on the way forward. They were joined in this initiative by Haiti advocacy experts and Diaspora from the US. February 4th-6th 2013 presented itself as a time of reckoning, an opportunity for the US and the donor community, as well as the Haitian government, together with grassroots communities representing the majority of the poor and vulnerable in Haiti, to assess the impact of the last three years, based on the commonly agreed guiding principles of accountability, transparency, governance, inclusion, participation, and consultation. This report will examine the highlights of the events surrounding the HAWG’s Third Commemoration of the Haiti Earthquake, provide recommendations from the partners and HAWG members, and share the responses received from the US congress and other key decision-makers. Please let us know if you have any questions or if you’re interested in learning more about the HAWG and how you and your international development or international advocacy organization can get more involved with its Haiti grassroots advocacy efforts.